Some of you may recall that this winter we laid rest to a little brouhaha here in Montgomery County about growing edibles in school gardens. 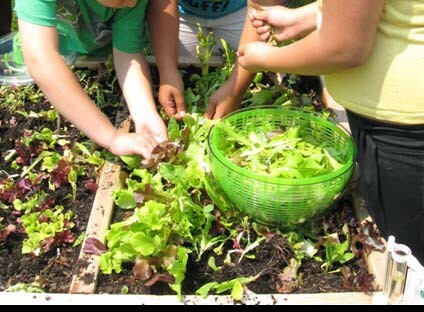 Since then, many educators have accessed Montgomery County Public Schools’ Growing Edibles in Containers website, and gardening has been happening! One project that I was fortunate enough to see the end result of was the Salad Science program initiated by Audubon GreenKids. 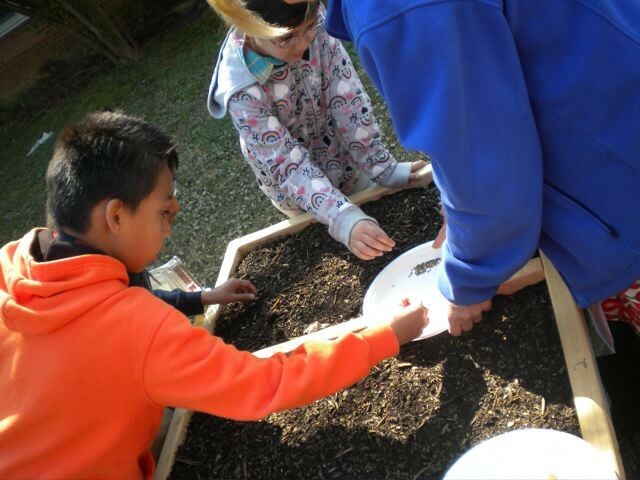 This program introduced elementary school students at seven schools to the science of growing their own food, using seeds for salad mix donated by Grow It Eat It. Funded by a grant from TogetherGreen, GreenKids staff members Diane Lill and Jenny Brown (Jenny is also a UME Master Gardener) provided the teachers with the materials they needed to complete the program, managed planting days and answered questions along the way (with help from MGs). Planting day at Whetstone Elem. 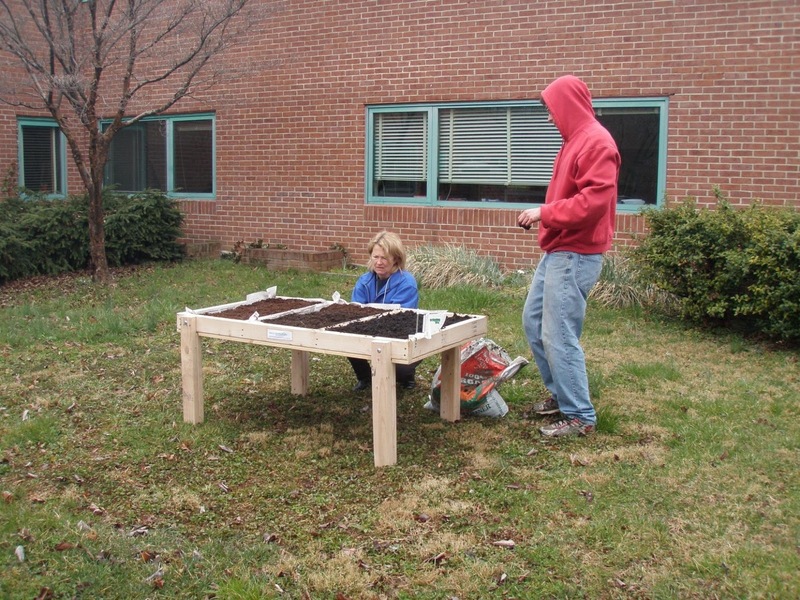 The salad tables were built by local Scouts for an Eagle Scout project and featured foldable legs and a planting area just the right height for the children. The teachers and students collected data on growth and weather, and harvested their crops for salads. All the schools had wonderful salad parties at the end of the project. I was able to attend two of these, at Cedar Grove and Whetstone Elementaries, and they were absolutely charming events. 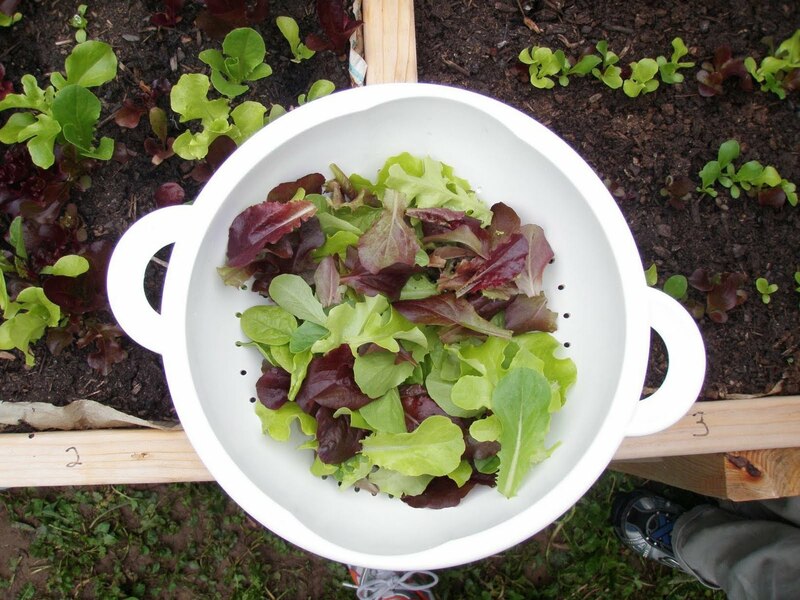 The children harvested their lettuce and Swiss chard with scissors, waited patiently for their turns to serve themselves salad (with extra delicious vegetables provided by GreenKids), ate with enthusiasm, and drew some lovely gardens as well! Harvest day at Harmony Hills Elem. Blog photos courtesy Jenny Brown and Claire Gardner. What a wonderful project. I especially like the idea of folding legs on the child-height table. We create Square Foot Gardens and can adapt them for those in wheelchairs, those with bad back & also for children. But I LOVE the folding legs. 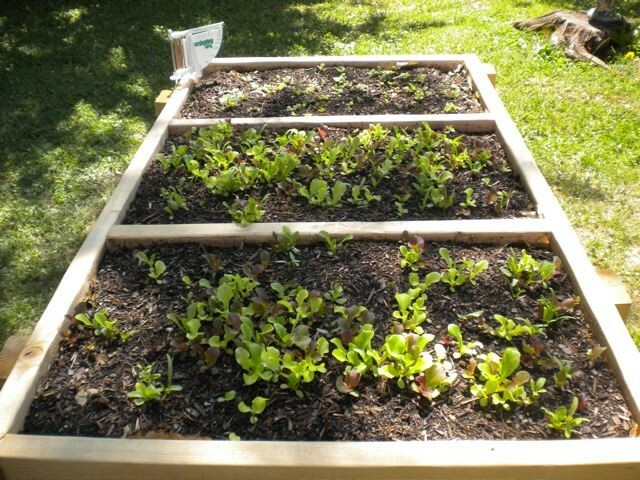 Kim, your Square Foot Gardens sound just great. The folding legs on the tables are handy for moving them into storage as most of these schools will have to do.